Home News Breaking News A Sign Or A Symptom? A Sign Or A Symptom? Please by advised that the people in this home use a smartphone (without a filter) they also carry in the eruv. 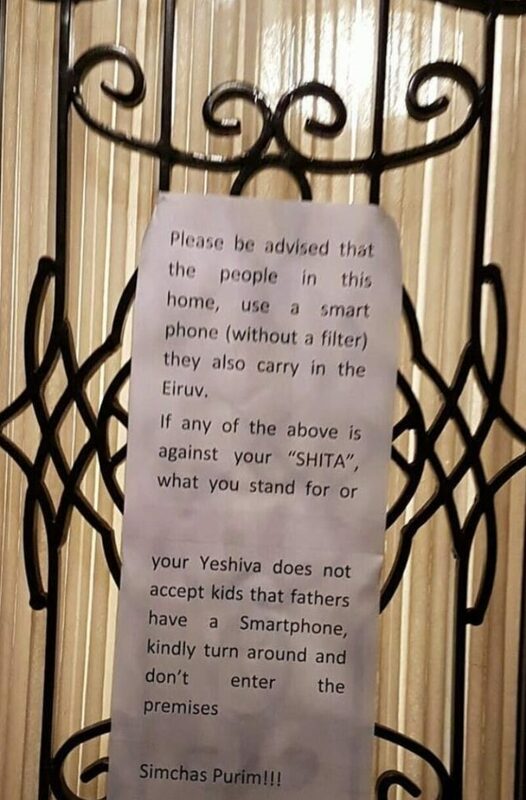 If any of the above is against your “SHITA” what you stand for, or your yeshiva does not accept kids that fathers have smartphones, kindly turn around and don’t enter the premises. Something really bothered me about this family’s “statement” and I couldn’t figure out what it was. Sure, it seems distasteful to put terms and conditions on who comes into your house on Purim, especially for such a reason! Of all the people to not let into your house on Purim, be it the drunks, the drugged, the puking or the simply loud and obnoxious, this man chose to disallow people simply for trying to live life with more kedusha! But in the end of the day, your house, your rules, as the saying goes. So while the request is odd it certainly isn’t out of bounds. So why was I so irked by the sign? Living in a community there are two standards, the communal one which sets the bar on what the norm should look like and the individual who tries to calibrate with the communal standard. Using tznius as an example, the standard in my community (and the halacha) is for women to keep their knees covered. On an individual level, there are those members whose skirt line surpasses the standard by several inches and other members who are struggling to reach the goal line. But everyone knows what the expectations are. Now imagine if instead of smartphones this sign read “Anyone who wears skirts more than three inches below the knee is asked to turn around!” It would be ridiculous! The fact that someone can post a sign like this highlights a deep divide within the community. The disconnect between the community that outlaws smartphones and the individuals that won’t accept that prohibition has reached a level where someone can openly come out against being anti-Internet! I think this calls for deep introspection for change. Either into shifting what is and isn’t accepted or into helping people conform to the high level we all strive to live on. Otherwise deep divides can turn into irreparable cracks. Or maybe I’m just reading too much into signs? This is not so simple, Smart Phone are a little different. Opponents of Smart Phones, in many (though not all) cases, have been very much “in your face” about their objections. There was a letter circulated recently in name of some of the Lakewood Roshei Yeshiva expressing displeasure at some of the tactics employed by Smart Phone opponents, including the distribution of graphic cards to little children depicting ugly reshoim, gehinom, or whatever. I believe that this sign on the door is a direct outgrowth of such tactics. “Kol haposhet yado” even includes people who disagree with you. You then are a rasha. Who gives you the right to pull off the sign from his door? Setting aside the yes-smart-phone/no-smart-phone, and the yes-Eiruv/no-Eiruv discussion, this sign irks me as well on a few fronts. Putting up a sign like this on Purim – during which the whole Hatzalah of Klall Yisroel came about because of ACHDUS – is so the antithesis of the Purim goal as to border on the heretical. Additionally, mocking those who strive to be more careful (even if you don’t agree with them) puts the sign-owner in a Kat Leitzim, not a label any Yirei Shamayim would want. Simchas Purim does not allow for a breakdown of our Mechitzos, and this sign-owner should not proudly display his disdain for those unlike him. Nobody has any problem if another yid won’t use a cell phone, or one with only text. The problem is that some people that require smart phones for business, feel ostracized by the tactics employed by a few (obviously not you or your like). When one feels elbowed or threatened (even if only by depicting them as villains and handed out to kids in their circles and even worse to their own kids), this reaction is to be expected. The message is meant to be ironic! Meaning ‘I am such an evil person kaviyochel, that I use a smartphone and carry in the eruv. Let’s see if any of the self-righteous people going around collecting will still come into my home and collect money from me! Obviously, I might be a rosho (chas v’sholom) and are you still prepared to accept my $$$ for your cause? 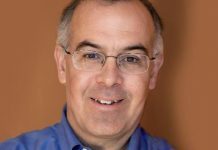 ?’ Personally, I have never heard of a collector rejecting ‘treife’ money. Please by advised that the people in this home wear short skirts (that don’t reach their knees) they also have uncovered hair. If any of the above is against your “SHITA” what you stand for, or your yeshiva does not accept kids that mothers have smart-clothes, kindly turn around and don’t enter the premises. The difference is: The tznius issues is very old. The battles have been fought. The results are in. It is abundantly clear that the continuity and future of the Torah-observant community is those who adhere try to the laws of tznius. Those who have mocked the laws of tznius have wither seen their kids thankfully “flip out”, or unfortunately assimilate. On the other hand, the popularity smart phones are barely a decade old. The battles are still being fought. I hope that the people who wrote this sign merit that all their descendants will be merit to be true shomrim of Torah and Mitzvos! You kidding? The tznius battle is Old? Overcome? Who are you fooling – no one but yourself! The standards of tznius are so low these days it is actually quite RARE to meet women (and men, by the way, with their skin-tight shirts and pants) who dress properly. An entire generation has grown up not ever seeing proper tznius. 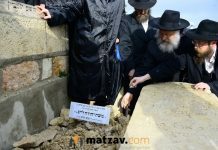 Those who made a “shita” out of disregard to tznius have lost. Sure, everyone struggles to properly adhere to Hashem’s commandments, but they didn’t turn it into a “shita” and say that seeking the right way to live should be taken from the nations. I think what he is trying to say is, if you would not accept his children into your yeshiva because of a smart-phone policy, don’t come to him to collect money. If his children are not good enough to accept into your school, then don’t bother asking him for a donation. The mishna instructs Aseh lecah Rav. If all charedim followed the dictate of the mishna, signs wouldn’t be necessary. Each sector would follow the standards set by the Rabbanim of that sector. Borei olam is served in many ways and as long as halacah is transmitted through mesorah and strictly adhered to our brothers/sisters conduct is simply none of our business. If c’v halacah and mesorah H’Torah is ignored r’l, the Torah H’kdosha instructs to whom, how and when rebuke is to be offered. One should consult their Rov as to wether it is appropriate and how to go about it. This and anonymous 12:21 are nothing more than chutzpah and lashon hara, and lack yirei Shamayim. How would these hateful people who hang them feel if the sign would state something like not to enter because she wears a sheitel, tight dresses, he wears tight pants or they don’t give much tzedakah? Maybe this family has suffered a lot because a child or teenager was being tossed around from one school to another with excuses? You have no idea what transpired prior to this. There could be a lot of pain and it could be his neighbors or relatives know much more. I think it was gossipy and wrong to send this around. The sender who sent you shouldn’t have done unless he verified that resident’s life history. Sorry but you missed the boat. Your comparison to the skirt example is totally wrong. You write: Now imagine if instead of smartphones this sign read “Anyone who wears skirts more than three inches below the knee is asked to turn around!” It would be ridiculous! This has nothing to do with the sign. The person who posted the sign was trying to make the exact same point as you, but you missed the boat. He is just showing you the other perspective. Instead of going after him, understand him! Why are we not accepting people of different shitos? Why can’t we understand that there are people on different levels? Why are we constantly belittling people who don’t agree with us? so a childs home decides who will become a gadol? why dont you let rabbi akiva know. Dear writer, to say if you wear skirts more than 3 inches below the knee don’t come in is foolish, but to say if you wouldn’t except ,y daughter into your school because her skirts are only 3 inches below don’t come in, that makes sense. The owner of the house is just saying that if normally you would harass me because I have a smartphone but now that I’m giving out money you want to come in……pick a side. He is doing you a favor. If a person is willing to not take a child in yeshiva because parent has a smart phone. al Achas kama vekama he wouldn’t take money! why do you all think yeshiva leaders are duplicitous and would have such double standards. Assuming this sign was really hung up somewhere and the guy only doesn’t want to give to a Yeshiva that wouldn’t accept his child I would understand (but not agree with) his point of view. But if he really has such an issue with people who have a shita against unfiltered smartphones that he doesn’t want them in his house even on Purim then the guy has major issues. But then again what could you expect from a guy with an unfiltered Smartphone? “Missed the point” is right. The sign-writer’s point is that if your institution won’t accept his kids because of who he is and what his standards are, then don’t expect him to give you money to fund your institution. Not saying the sign is nice or right or wrong or mean, but in the proper context, it is understandable how people would be badly enough burned to hang it up. 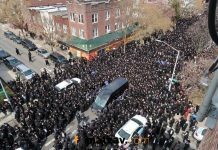 lets now join together to thank Hashem for listening to ALL tefillos of am yisroel. imagine if Hashem would start filtering whose tefillos He listens to! so do you agree with yeshivas being selective on their student body composition. Wow. Do none of you people have a sense of humor?! The way its written you can tell its a purim hoax! I can’t believe you all you think the note is legit. They are making fun of the people who make fun. Get a grip people!!! I don’t vant no schnorrers to come to my house to collect money so dat his kid who is getting married can buy a deera while i’m living in a one bedroom apartment with my 4 kids. Tell the schnorrer to go get a job and earn a desent living and dunt be a schnorrer. hung by a major LOOSER! The difference b/w skirts and phones is that collectors probably wouldn’t collect from a home with skirts above the knees, but would from the house with smart phones. I think it’s very clear what hes saying. Similar to a situation where a friend of mine who lives in Yerushalayim who learns ‘only’ half day and works half a day, when he was trying to get his kids into school, some of the schools were rejecting him because he works. But when they would want to come collecting, he wouldn’t give them money because he felt that if his kids weren’t good enough for the school, why should his money be good enough. Still looking for a rav that has a heter to use a smartphone without a filter. Smart phone discussion is a pathetic tangent. The real issue is rishus of those “mechanchim” who usurped admissions in some yeshivos, and refuse to fulfill the stated goal of spreading Torah to the entire Am Yisroel. Even if the family is entirely not religious, the kids should be gladly and honorably accepted, as here comes the chance to spread Torah values(as gedolim of the previous generation did to the semi-religious grandparents of the majority of the contemporary American frum community) – with the obvious exception of those kids who have been proven to have dangerously negative influence on the other students – notice “proven” as opposed to “suspected” – which means that often it is the kids from the “good” families who are the rotten apples and not the kids from the “weak” families. So the real question is whether some of contemporary “exclusive” yeshivos are really in business of Avodas H, or are they in business of “mehanchim’s” self aggrandizement, hence do they have a right to collect tsedakah altogether?